Save the Date! 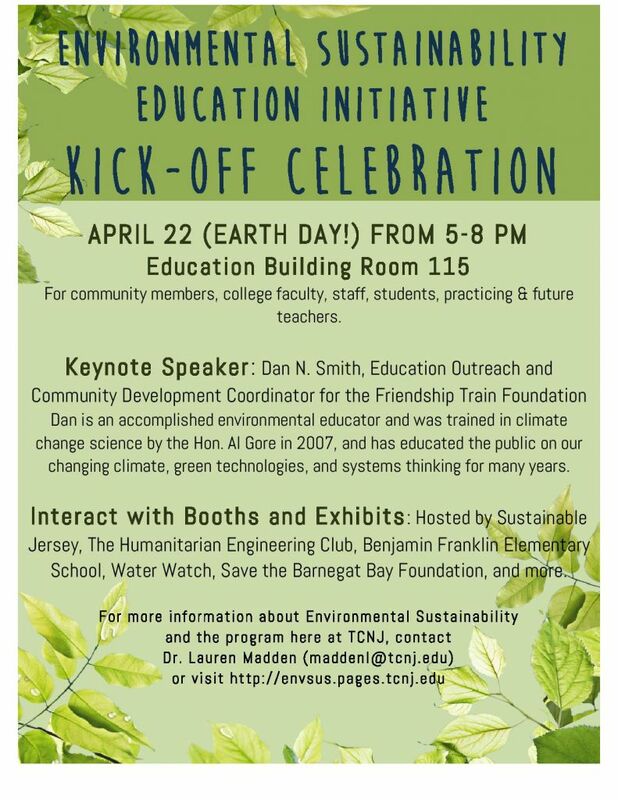 We will have a kickoff workshop event to celebrate the start of the TCNJ Environmental Sustainability Education Initiative on Wednesday April 22nd from 5-8 PM in room 115 of the Education Building. 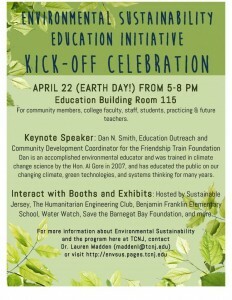 All TCNJ students, faculty, staff, members of the local community, and other interested people are welcome to join us!